Charter Oak has teamed up with Sophia to help you complete your degree more quickly and affordably. 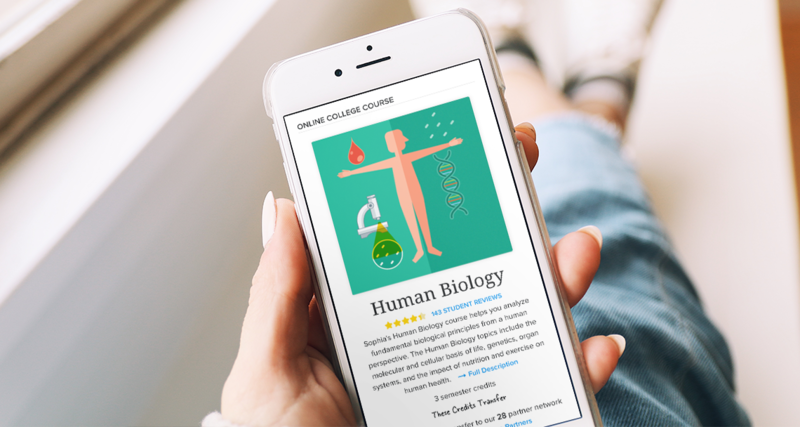 Accessible anytime, anywhere, from your laptop, tablet or mobile device, Sophia's self-paced courses let you earn general education credits on your schedule. View the course chart below to find the right courses that will help you complete your degree. First, Please Choose a Course. Need help finding the right options? Contact a Sophia Learning Coach. See how we stand out. 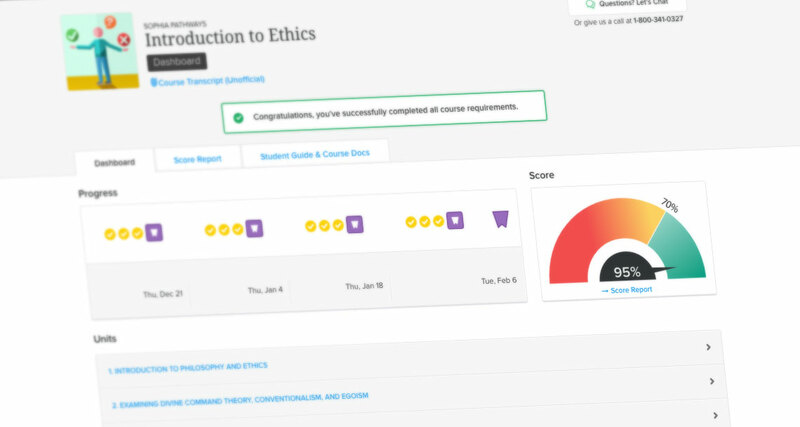 Everything you need to succeed is built right into our Sophia courses; there are no textbooks to buy, monthly subscriptions to pay for or any other added fees. 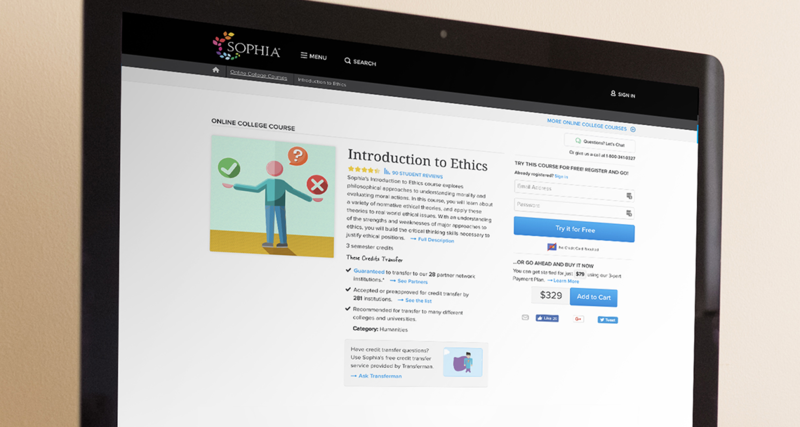 Sophia offers all of our students a free trial to make sure our courses are right for you. 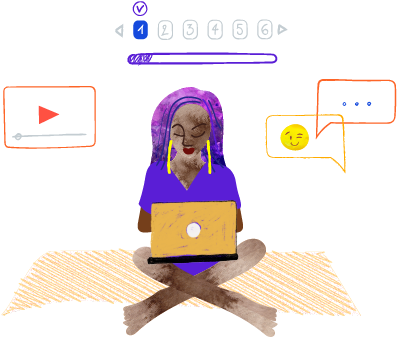 Sophia wants you to be completely satisfied with your learning experience. We offer a 30 day money back guarantee. We offer a 3 part payment plan option to provide flexibility and allow students to fit courses into their budget. There is no need to wait for the first day of class; with Sophia you can sign up and instantly start your education. 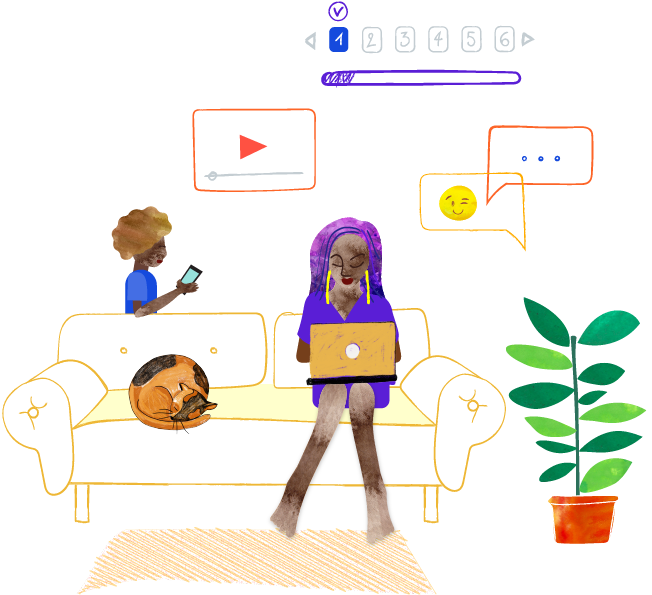 You pick your start date and work at your own pace on your phone, tablet or computer. 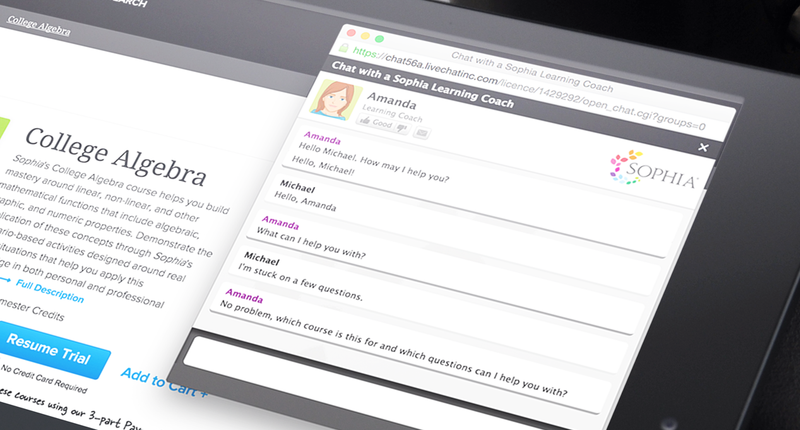 Call, email or live chat with our team of friendly and knowledgeable Learning Coaches. A different way to learn. A smarter path to success. 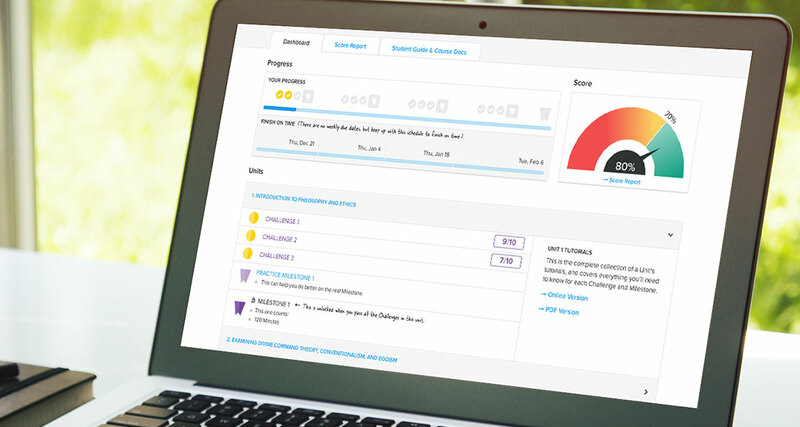 Sign up for a Free Trial and jump right into the Sophia learning experience. 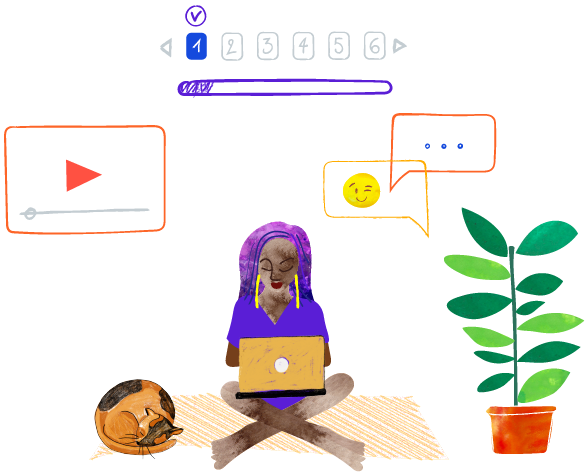 Take your course with you, work at your own pace on your phone, tablet or computer. You always know your progress and score with Sophia's progress bar and score speedometer. Complimentary Learning Coach support. Call, email or live chat with our friendly knowledgeable learning coaches. Our students love the freedom, flexibility and support we offer. See what they're saying about Sophia's courses. Great course - left me itching for more! Good class, but information has to be digested over time if no background knowledge. Good class but too long and tedious. Good but hard course took me 5 days 6hr on each unit to finish. I am closer to my degree. Sophia.org is great. This was by far THE WORST DESIGNED COURSE I have ever taken, I would never recommend this course to anyone. By trade I am a test pilot and I have never seen any math course this poorly designed !!! I thoroughly enjoyed this class. Lots of good information but there are specific topics you definitely have to read into. One of my favorites I have taken so far.